This week on EntreArchitect Podcast, The Entrepreneur Architect Series featuring Daniel Robey. 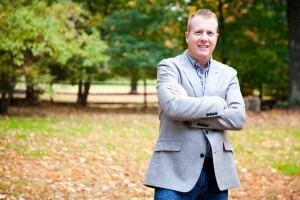 Daniel is a landscape architect and the owner of Huntlands Landscape Architecture in Northern Virginia. He has a bachelor’s from Clemson in Landscape Architecture and is a licensed professional architect in the state of Virginia, a LEED Green Associate and a multi-award winning designer. He lives in Virginia with his wife Murphy and his three kids, Maris, Charlie and Hank. Daniel started out loving to draw and always thought he wanted to draw cartoons. In high school, he fell in love with golf and everything in his life began to revolve around it. When he had to figure out what he wanted to do after high school, he fell upon architecture at a local golf course that was under construction. When he walked around the grounds with the architect, Daniel realized that was what he wanted to do. He knew that to get into golf course architecture he needed to have a name or professional behind him, so he did a number of internships: one for a land-planning company, one for residential install work, and another for the Charleston parks department. He was exposed to different avenues. After college he worked for a land planning civil engineering firm in Charlotte. Daniel felt he wasn’t doing a whole lot of creative work, so he planned to move to the residential side of things right before the birth of his first child. He moved from a smaller company to a large residential design build firm. This past year, he opened his his own business doing high-end landscape architecture. Daniel does high-end residential architecture. He works with elements of plantings, hardscape, architectural structures, water features and everything that ties it together like lighting, audio, and more. Daniel didn’t ever dream of starting his own business, but it became clear that that was the best thing for him to do to advance his career. When he came to that conclusion, it was a huge goal for him to set out to achieve. He did a ton of reading, research, podcast-listening, and more to get as much business information as he could. What are the pros to starting your own business? It’s allowed Daniel more flexibility to be home with his family and to be involved with his kids. What struggles have you gone through? Early on, Daniel struggled with the simple things like setting his email up to issues building his contracts. He’s in a different area than where he worked previously, so he’s working to establish himself in a tightly-knit circle. What are you doing to establish yourself? Daniel reaches out to local architects, builders, interior designers, contractors, and others to share his business with them. He works to do direct marketing to professionals he wants to collaborate with, and that way he can reach out more directly to the people who he can work with. He’s also joined a number of local networking groups for small business owners and custom builders. It’s outside of his comfort zone, but he’s enjoyed pushing his boundaries and meeting new people. Daniel’s biggest realization was that he needed to try his hardest to get his business to work out, but if he couldn’t for any reason, he could always get a job. In Daniel’s area, there’s more design-build businesses than people doing what he’s doing. What he brings to the table is his experience designing and managing everything from ordering materials to working with contractors. Additionally, he tries to focus on hand graphics and the craft movement. What’s the best advice you’ve ever received? After you graduate, work three jobs in your first five years to find your niche. What’s a parting piece of guidance? Get out of your comfort zone and put yourself out there! 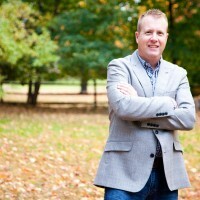 Connect with Daniel online at Huntlands Landscape Architecture or Facebook, Instagram, and LinkedIn.